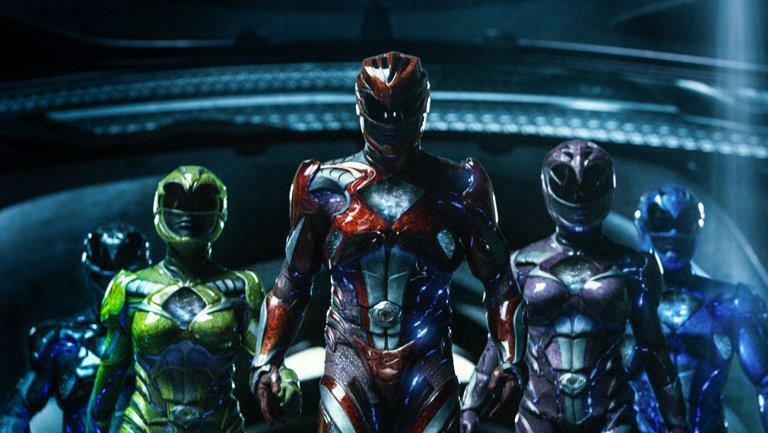 Power Rangers is breaking down a barrier no superhero movie has before. The Lionsgate reboot of the '90s children's TV show is the first big-budget superhero movie to feature an LGBT protagonist. During Power Rangers' second act, there's a scene in which the titular heroes learn that the Yellow Ranger Trini (Becky G) is coming to terms with her sexual orientation, with one character assuming she's having "boyfriend problems," and soon realizing that perhaps she's actually having "girlfriend problems." It's a small moment, but one director Dean Israelite calls "pivotal" for the entire film. "For Trini, really she's questioning a lot about who she is," Israelite tells The Hollywood Reporter. "She hasn't fully figured it out yet. I think what's great about that scene and what that scene propels for the rest of the movie is, 'That's OK.' The movie is saying, 'That's OK,' and all of the kids have to own who they are and find their tribe." LGBT representation in superhero films has trailed that of comic books, where heroes and villains such as DC's Wonder Woman, Catwoman, Batwoman and Harley Quinn, as well as Marvel's Ice Man, are among high-profile examples of LGBT characters. But so far, when these characters have been translated to the big screen, they have been portrayed as straight. X-Men's Northstar, the first openly gay character from either DC or Marvel, was introduced in the comics in 1992. Original Blue Ranger actor David Yost, who is openly gay and left the 1990s Power Rangers series after facing harassment over his sexual orientation, praised the new film for its inclusiveness. "They really stepped up to the plate," says Yost. "I think so many people in the LGBTQI community are going to be excited to see that representation." In the original Power Rangers series, the Yellow Ranger was played by the late actress Thuy Trang, who is credited as the character for 81 episodes from 1993-94 on Mighty Morphin Power Rangers. The original character was portrayed as straight. Power Rangers comes on the heels of Disney's Beauty and the Beast live-action remake, in which Josh Gad plays Disney's first-ever gay character, LeFou. In the sci-fi movie world, last year's Star Trek Beyond revealed that Sulu (played by John Cho in the rebooted Star Trek movie universe), was gay. The original version of the character, played by George Takei, was straight.